Connect with the best care companions in Hephzibah—today! I love taking care of children & the elderly.My heart goes into my job. Certified CNA since 2004.I have excellent references in all my duties.I have never had a bad experience with any client. 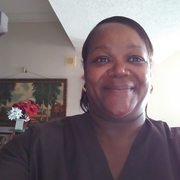 I over ten years experience.I have taken care of people all my life.I can cook ,clean,and drive to Dr s.I love helping do what ever needs to be done.and iam a very hard worker.